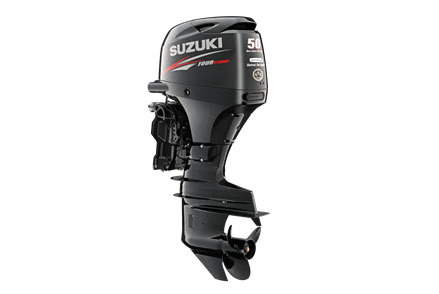 The new DF50AV is designed with a "High Energy Rotation" lower unit sporting a 2.42:1 gear ration, which enables this new model to use a bigger 14 inch propeller - perfect for powering pontoon boats and other large, heavy craft. This mid-range engine is also designed with Lean Burn Fuel Control System, which adjusts the air / fuel mixture according to operating conditions. The system significantly improves fuel efficiency across the operating range, from low speeds well up into the cruising range. New DF50AV model is also available with the optional Suzuki Troll Mode System.